Biometrics Ltd sensors and instrumentation have been used worldwide for more than 20 years in a variety of research applications. This ergonomic study utilized Biometrics Ltd DataLOG, EMG sensors and software to determine the best hight for the handle of a shopping trolley. This project compared conventional needles with needleless injectors in terms of cost, productivity, injury rates, biomechanical exposures, and worker preferrences. Biometrics Ltd DataLOG and EMG sensors were used to maesure hand/wrist muscle activity on swine workers performing injection tasks with both injection methods. Data was collected for several hours over two days. This paper presents the functional scheme and experimental implementation of an artificial hand with sensorial interface. Biometrics Ltd SX230 EMG sensors gathered EMG signals from the amputated stump which were then used to control/command/move each finger idependently. Biometrics Ltd EMG sensors were used to record the suprahyoid muscle group, which is used to elevate the pharynx during swallowing. This is the first study to show offline continuous decoding of the EMG envelope during overgroung walking on multiple terrains. Lower extremity EMG (12 channels) was measured using multiple Biometrics Ltd DataLOG and SX230 EMG sensors. Biometrics Ltd DataLOG portable EMG Data Acquisition Ssytem was used to collect muscle activity during an elbow flexion movement. 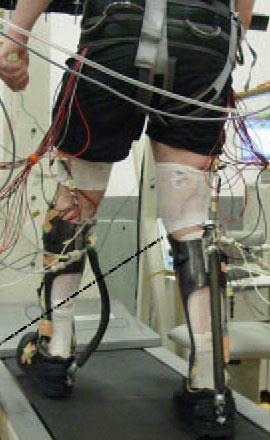 A Biometrics Ltd EMG system was used to collect the data in this study of assistive walking exoskeletons. The Biometrics Dynamometer is used to determine maximal hand grip strength for all study participants. Grip is one of the parameters measured to determine how effective robot-supported upper limb training is for individuals suffering with MS. The study included a control group of healthy subjects in order to confirm success of this training technique. 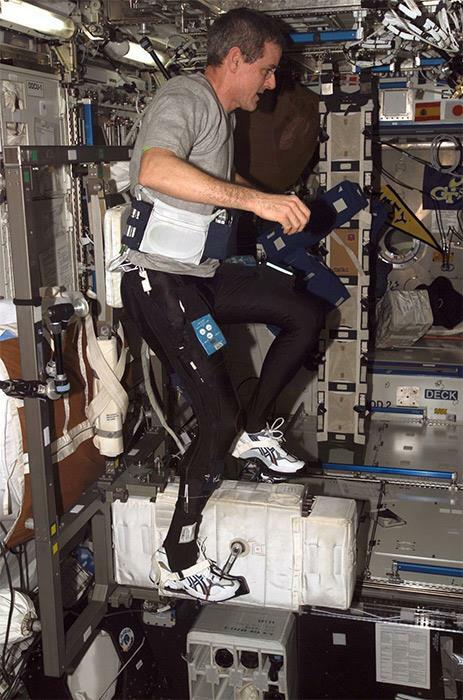 Biometrics Ltd surface EMG sensors and Goniometers are used in this study to collect information from each subject completing a planned exercise session. Data is then entered into various algorithms to confirm which best classifies muscle fatigue. The relationship between elbow angle and RMS values is also explored. This study utilises Biometrics Ltd EMG sensors to determine which of two surgical instruments is most ergonomic. EMG sensors are placed over specific muscles on the subject (an expert surgeon) while a surgical suture task is completed with each tool. Data is presented and discussed; the tool which when used resulted in lower muscle activity use is confirmed as the better of the two. 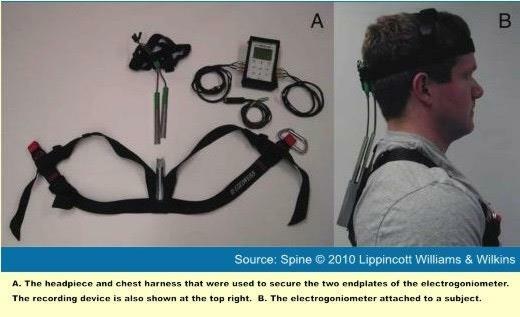 An 8 channel Biometrics EMG system is used to determine the upper limb muscle activity used to complete a drawing task. The subject population comprises children suffering from dystonia as well as healthy age-matched individuals. Results are presented and discussed to help characterise and better understand motor performance in children with dystonia. 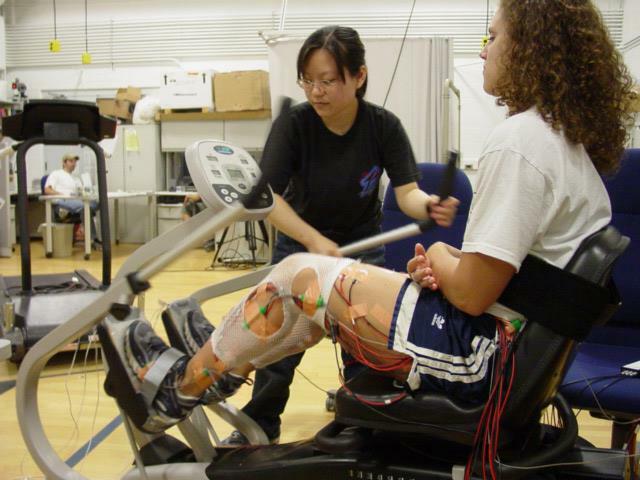 This study utilises Biometrics Ltd EMG sensors for gait analysis with biofeedback. Muscle activity is used to trigger an audible and vibrational alarm to both reward and help correct the subject under test conditions. Results are discussed and conclude that this setup could positively impact rehabilitation practice if used regularly in impaired populations. 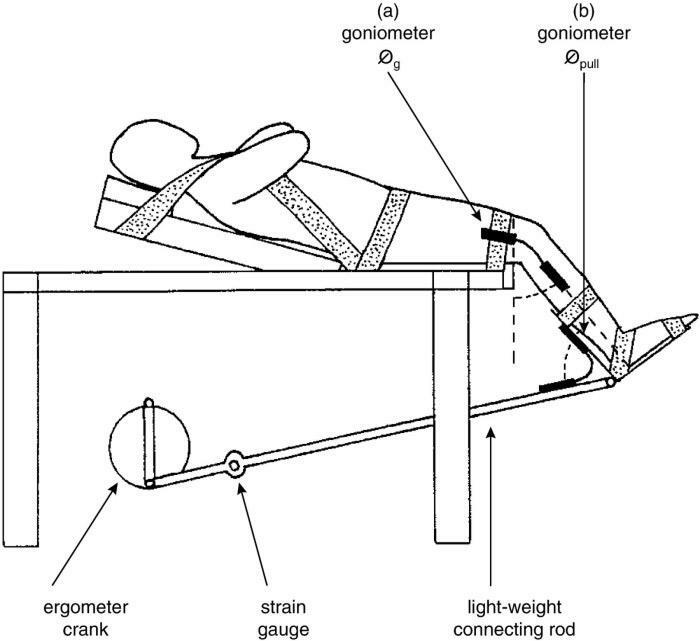 Biometrics Goniometers are used in this study to identify phases of the movement cycle. Goniometers synchronously record joint angle data from the hip, knee and elbow of subjects during each exercise session. Data from other measured parameters is synchronised with this Goniometer data to identify at which phase in the movement cycle core muscles are activated and which exercises are best for core muscle training. The Biometrics Ltd Dynamometer is used to determine the Grip Strength of subjects suffering from Arthritis. The Grip Strength data is presented together with the outcomes of the new hand function test designed specifically for people with arthritis, the Grip Strength data is also applied to the final analysis showing test-retest reliability. Alexander Opitz, Wynn Legon, Jerel Mueller, Aaron Barbour, Walter Paulus, William J. Tyler. Frontiers in Human Neuroscience 2014; 8: 1043. Surface EMG is monitored throughout this study, to quantify the intensity of electrical pulses, using the Biometrics Ltd surface EMG sensor connected to the Biometrics Ltd K800 Amplifier. This surface EMG data is presented alongside EEG data from each experimental setup and the results are discussed. Biometrics Ltd EMG sensors are used to quantify which of the two Motorcycle clutch designs tested are the easiest to use. Muscle fatigue data is calculated within the DataLINK Analysis software by applying the Median Frequency filter to the raw EMG data. Muscle fatigue data is presented along with other measured parameters and discussed, the study concludes that muscle fatigue data is fundamental to assess the ergonomics of similar controls. This study focuses on comparing subject-rated comfort scores with quantified EMG measurements in order to determine the most ergonomical stylus grip. EMG data from Biometrics Ltd EMG electrodes connected to the DataLINK unit are used in this study, all data is analysed using the Biometrics Ltd DataLINK Analysis Software and presented in the results section. This study confirms that EMG data alone is not the only factor contributing to comfort scores. Biometrics Ltd EMG sensors are connected to the DataLOG unit which is used in this study to document the effects that Mastication has on the glycaemic index of food. EMG data was fundamental to recording not only the number of times a subject chewed but also mastication rate and other important parameters. This study utilises Biometrics Ltd EMG sensors connected to the DataLINK unit in order to document the effects of screwdriver handle ergonomics. Data is analysed using Biometrics Ltd DataLINK Analysis software and compared with comfort data along with productivity results. As the experimental variables change, data is collected and displayed with regards to each measured parameter. Biometrics Ltd DataLOG with analysis software and flexible force sensors were used to measure lip pressure at rest and whilst swallowing. This frailty study relied on acquisition of quantified EMG measurements recorded over a significant time period (9/10 hour). Biometrics Ltd EMG sensors connected to the DataLOG unit allowed each study participant to freely go about their regular day while EMG data from their upper and lower limbs was collected and stored within the DataLOG unit (save to card mode). Data was analysed post data acquisition and combined with other quantified parameters to discuss the relationship between muscle activity and frailty category. Participants of this study had recently undergone carpal tunnel surgery. The analysis aims to investigate the results from a patient questionnaire with quantitative data recorded. The Biometrics Ltd dynamometer connected to the DataLINK unit was used to record grip strength for the subject population pre and post-surgery. Biometrics Ltd Dynamometer and Pinchmeter were used in this study to compare the outcome of two different treatments for dorsally displaced distal radial fractures. A Biometrics Ltd grip dynamometer was used to measure grip strength in this study of the effects of cardiopulmonary rehabilitation in patients with congenital heart disease and pulmonary hypertension. This comparative study utilises Biometrics Ltd EMG sensors connected to the DataLOG unit, EMG sensors are placed on the forearms of participants during the activity/data acquisition stage. All EMG data collected is presented in order to discuss the comparisons between two safety techniques used in the building and construction industry for ladder climbing. Participants wore the DataLOG unit on a belt around their waist as they climbed ladders using each safety device. Improvement in motor function of the upper extremity was investigated in a patient following bilateral forearm transplantation. Grip and pinch strength were measured using Biometrics Ltd grip Dynamometer and Pinchmeter. Biometrics Ltd Dynamometer and Pinchmeter used with a Biometrics Ltd DataLINK to measure grip and pinch strength in metacarpal fracture patients, comparing those who had surgery (K-wire fixaton) with those patients who were treated more conservatively by reduction and immobilization. Biometrics Ltd EMG sensors were used in this study in order to compare muscle activity between two sanding techniques. The EMG sensors were connected to the Biometrics Ltd DataLOG unit and data was analysed post acquisition. Findings from this study are useful to the building and construction industry as they highlight some egronomical limitations of new techniques/equipment. Aimee L. Betker, toy szturm, Zahra m. K. Moussavi. (2008). IEE engineering in Medicine and Biology Magazine. This visual-spatial experiment includes the use of Biometrics EMG sensors connected to the DataLINK unit. Subjects are monitored as they undertake a biofeedback 'game' in which their ability to maintain balance is analysed. EMG data collected is filtered and displayed alongside the centre of foot pressure (COP) results to determine an individuals' response to different Motor tasks. Biometrics ACL300 used to measure slip force of an object as it was dropped. The aim of this paper is to describe a human machine interface using Electromyogram (Biometrics Ltd SX230 EMG sensors) signal to artificially control the limb movement.